A profit sharing agreement is a crucial agreement when it comes to partnership business. Therefore, you must get the Profit Sharing Agreement Templates to keep all references, rules and ratios clear between you and your partners. The templates are designed to put emphasis on how losses, equity shares, investments, asset leverage and all important aspects pertaining to partnership business are to be divided. The Profit Sharing Agreement are customizable which makes it possible for you to make changes in the agreement when needed. 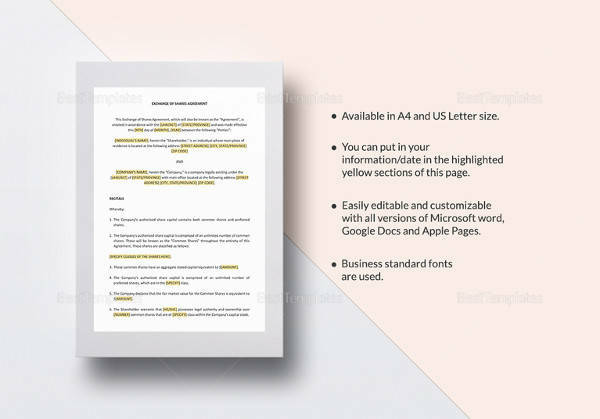 You can download the premium templates free of cost and run it on MS Word and other software as they are totally compatible. 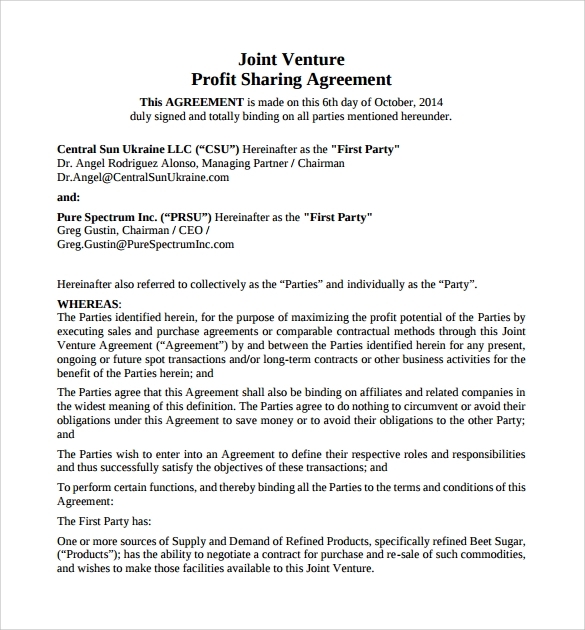 This is an agreement of sharing profit between partners. 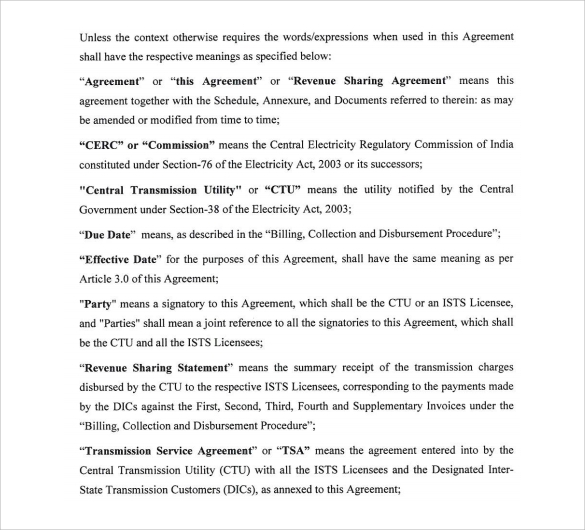 The form began with the date of the agreement, and thereafter comes the basic points of the agreement in block letters. The point of revenue sharing is also mentioned as separate point. This is an agreement sample which is divided into two columns. In the left hand column, there is the first section called plan information. In the right hand column, there are two sections, namely, the details of the employer and coverage. 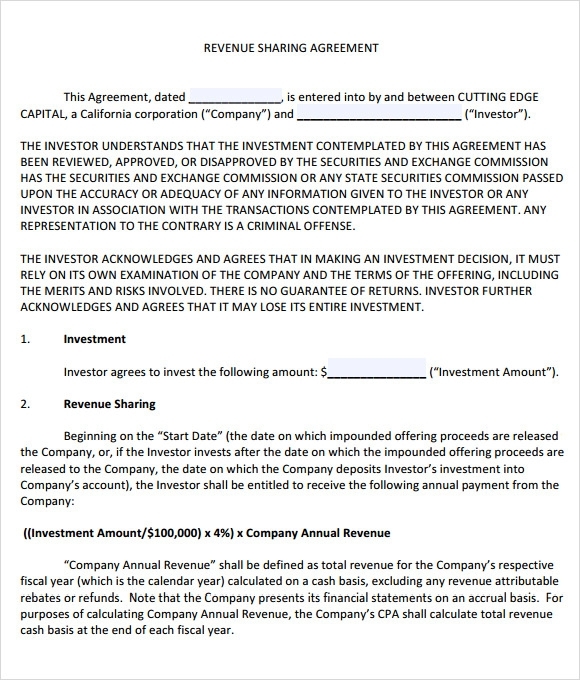 This is a profit sharing agreement, where there are different subheads contain information about the agreement. The first subhead is titled as agreement, and gives you the finer points of the agreement, followed by a case where agreement is absent. 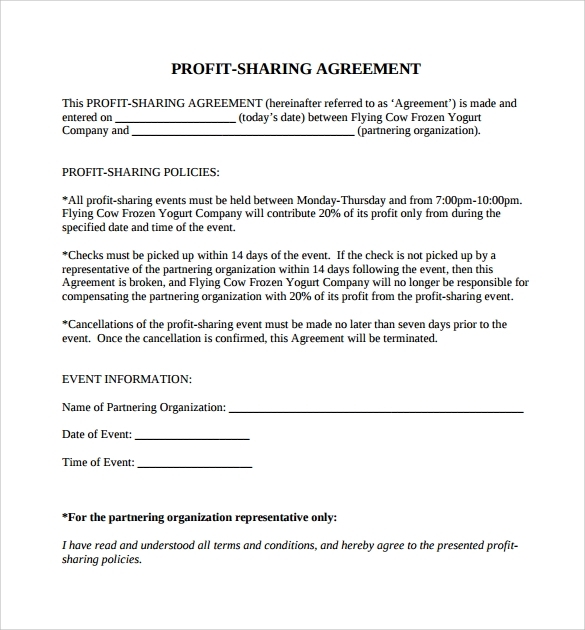 This profit sharing agreement is available in PDF format. 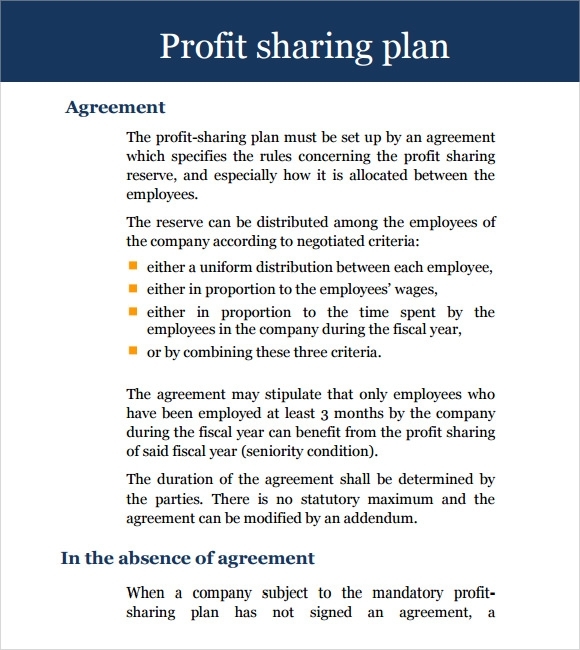 In this agreement after a brief notification of profit sharing, there are general information which are relevant for the agreement, mentioned point wise, like name of the employer, name of the plan etc. What Are The Benefits Of A Profit Sharing Agreement? There are a lot of partnership businesses found in various sizes and characters. However, each of the partnership endeavors has one thing in common, you have to share the profits of the work with your co partners. This can be a difficult ask, because, some partner might get a bigger share, than others which can lead to a problem. 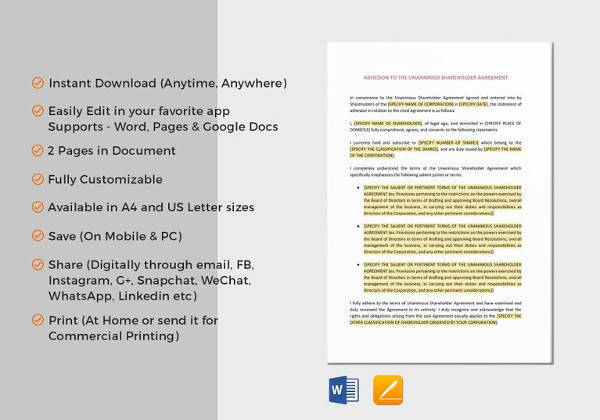 You can also see Sample Employee Confidentiality Agreements. Thus, a profit sharing agreement needs to be signed between the partners, which will clearly explain the points of sharing a profit. An agreement can save you from the trouble of legal problems if there is an unhappy partner, or a cheating one. 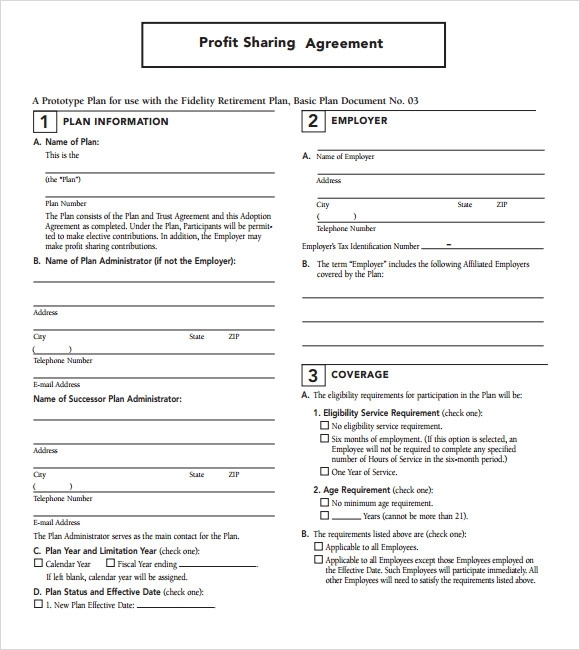 Why Do You Need A Profit Sharing Agreement Template? A profit sharing agreement is an important piece of document when it comes to a partnership concern. 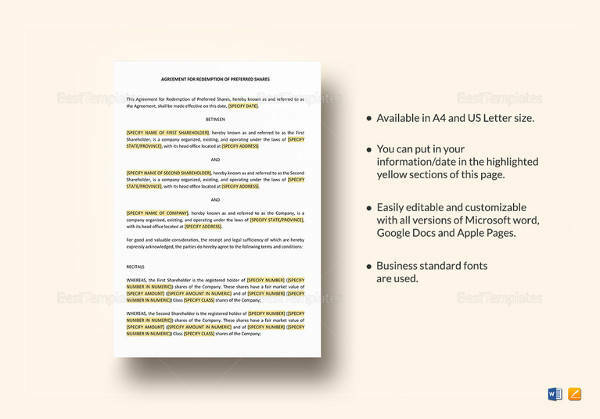 It is also a legal document writing which requires a bit of legal technical knowledge. Not everyone posses that sort of knowledge. In such a situation it is important to have a profit sharing agreement sample which can be followed. This is why you need a profit sharing agreement template, a number of which in various styles are available on the internet and therefore, you can easily procure them. It makes the process of writing easier, since you do not have to start from the scratch. 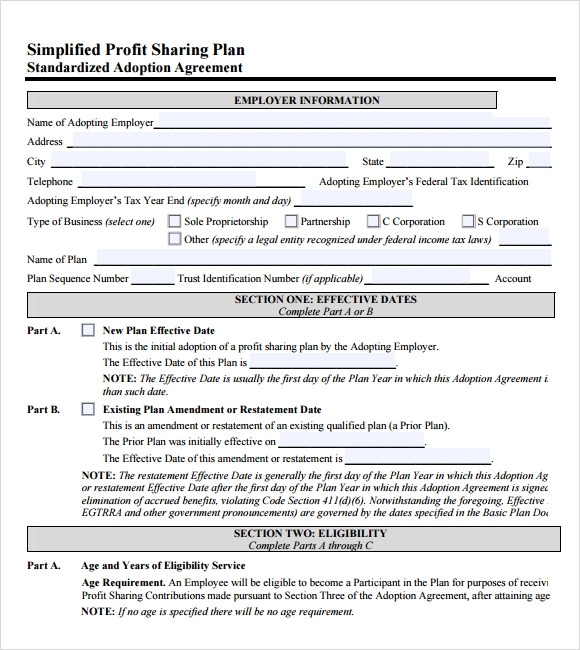 When Do You Need A Profit Sharing Agreement Template? A profit sharing agreement should be in place at the beginning when you start a partnership venture. Having an agreement for sharing in profit, can make you secure of the return you will get, and therefore, the investment of your time and skills could be done accordingly. 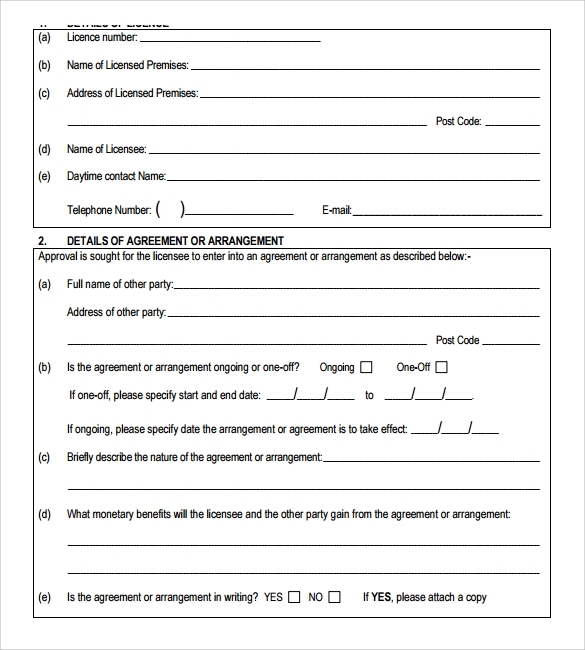 You can also see Sample Business Partnership Agreements. Since it is a document which is legal in nature, it is better that you follow an example of what should be a properly structured agreement document. 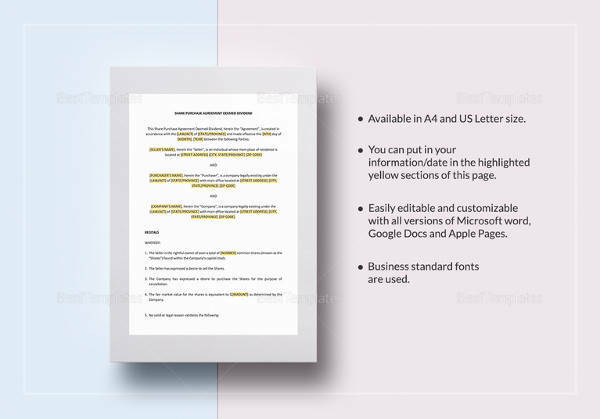 This is the time when you need the profit sharing agreement templates, available on the internet. You can just download and use them according to your needs. There are different types of profit sharing agreement templates available on the net, for you to select from. Here are some of the examples of such templates, which you can use for your purpose. It is important that you should make an agreement with your partner before you start your business.